Abundant sunshine. High around 80F. Winds SSW at 5 to 10 mph.. Premium Los Feliz Village commercial storefront is now available for lease! A perfect opportunity for a productive business that benefits from high volume pedestrian traffic. This excellent location has approximately 750 SF interior space for the creative entrepreneur, storage, a half bathroom at rear, and one parking space. Located next to the bustling Alcove Restaurant, Glaze Fire Pottery Studio, and Tuesday’s Sweet Shoppe. 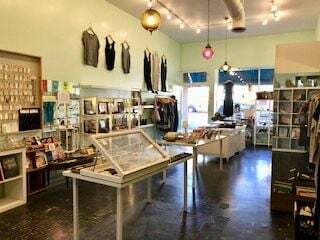 Enjoy the benefit of the close proximity to other Los Feliz specialty shops and eateries such as Vamp, Undesigned, Lassens, McCalls, Little Doms, neighborhood favorite Yuca’s, and Jeni’s Ice Cream. Be part of the Los Feliz Village neighborhood scene.